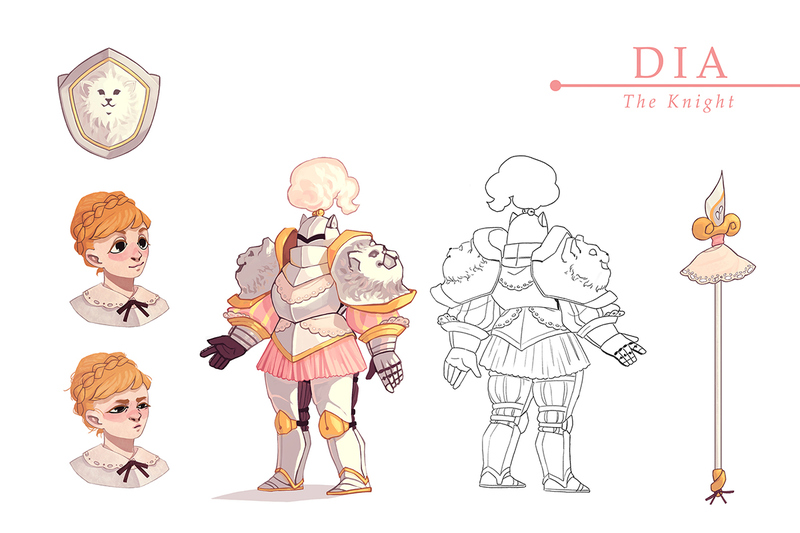 Dia is a dutiful knight in the service of the two queens. She likes cats, doilies, and tea, and in her spare time she likes to crochet. She and her two friends, Popi and Rouge, go off on an adventure to repeatedly save the two queens. 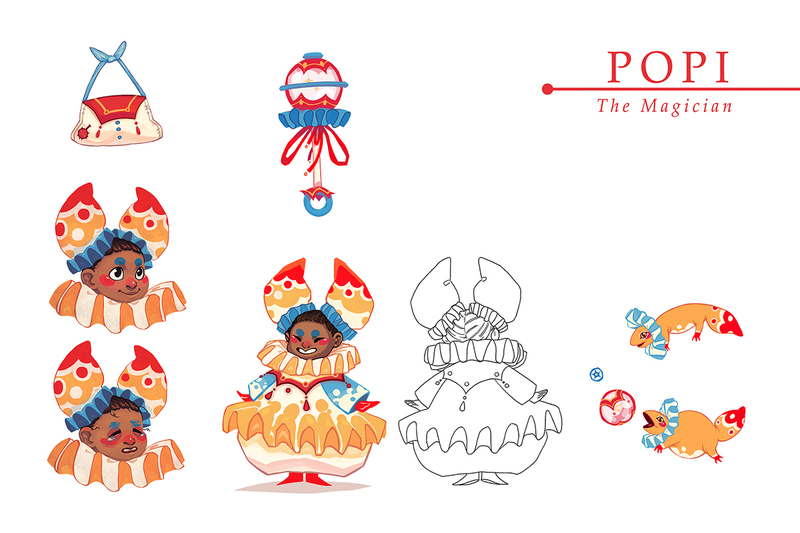 Popi is a little entertainer-turned-adventurer. She and her trusty companion, Burper the burping salamander, made their days decorating street corners with their shenanigans until, one day, she was enlisted with Dia and Rouge to help save the two queens. Burper enjoys eating strange bugs and fruits and will burp out different bombs in response to the tasty morsels. Rouge is an edgy middle-school-aged rogue that is actually too big a softy to do anything actually illegal or mean. That won't stop her from trying to be the "Bad Girl" of the gang. 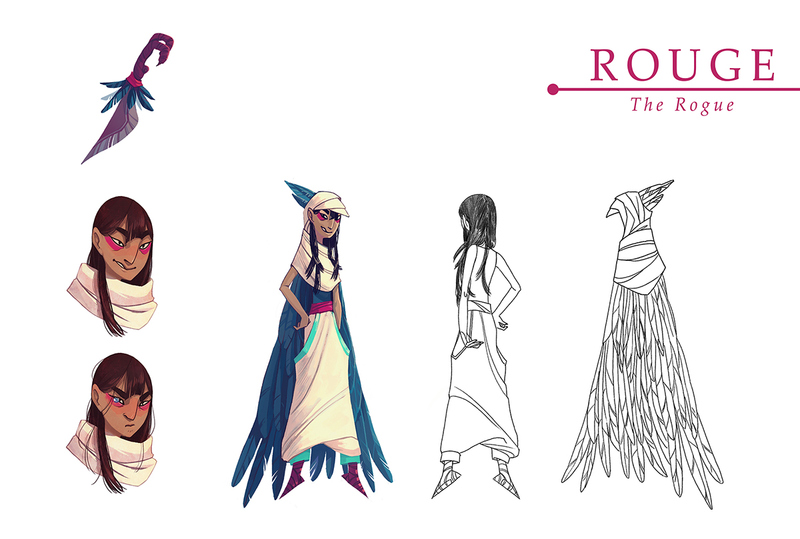 She really likes ravens and crows because she thinks they're very cool, and designed her outfit's motif around them. She and her compatriots, Dia and Popi, go off on an adventure to save the two queens.